Thank you for visiting the website of Japan Institute of Statistical Technology (JIOST). 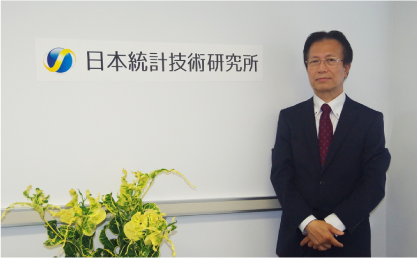 This Institute was founded on the keyword “statistical technology” with collaboration with Tokyo Adachi-ku and Tokyo Denki University as an industry-government-academia company. We are commissioned various statistical analyses, statistical support services for academic presentations and academic paper publishing, seminars on statistics, consulting on statistics, support for various statistical surveys, support for introduction of statistical quality control methods, etc., spread of statistical technology and we are developing business to fulfill the mission related to promotion. Especially, there is a conflict of interest with pharmaceutical companies in supporting academic dissertation which making the world noisy recently, but as a recipient for solving it, we accepted statistical analysis of medicine data as a fair and neutral third party institution. We will analyze various data warmed by doctors and researchers with appropriate and advanced statistical technologies at the lowest price possible and will support academic presentations and submissions. By utilizing our institute’s statistical technologies as statistical tools for everyone, it will be easier to save time and respond to journal review by statistical experts, leading to strengthened dissemination of research results. In addition, companies are expected to strengthen their business if they can be used us as tools of your company for summarizing clinical research, summarizing and analyzing survey data after marketing, compiling and analyzing various market research, etc. In order to express deep respect for the wisdom of the predecessors who have kept great achievements in science, in particular in the field of statistics, this Institute has a corporate motto quoted from the following words of the German genius scientist “Carl Friedrich Gauss” of the 18th century. We Japan Institute of Statistical Technology (JIOST) will support your business with superior statistical technology and contribute to the society. ■ Contributing to your research and business development by utilizing statistical technologies, and contributing to the society widely through these activities. ■ By accurately grasping customer needs and providing high-quality products with advanced statistical technologies, we will earn the trust of customers. ■ Aiming to create new value for customers, refine technology, seek dreams, open up the future, we will cultivate people and contribute to local communities. With the aim of utilizing and disseminating statistical technologies, under the basic philosophy of responding with technology and trust, we have established the following corporate marks. 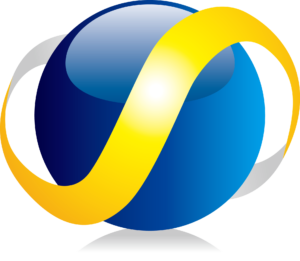 Our logo mark is expressed a blue sphere and a golden S shaped sash from the figure of initial of “Statistics” like surrounding the earth in the motif of the beautiful earth. Statistics connected the whole world and imagined to contribute to the global environment and humanity. As a company that considers trust from all of you first, we expressed dynamic based on golden color and honesty based on blue color to be able to connect with you through deepening the statistical technologies. Having high expectations for the activities of Japan Institute of Statistical Technology, we will appreciate your further help and encouragement from now on. The education of statistics in Japan is not necessarily enough. For example, in the United States whose population is about three times that of Japan, nearly 400 departments of statistics, biostatistics and applied statistics are established, but we can count them all on one hand in Japan. Nevertheless, statistics is a very powerful technology, and recently books on statistics have become the best seller, it is hard to recognize as a familiar thing. In addition, inappropriate handling of clinical data on medicines by employee of a pharmaceutical company, making noise around the world today and confidence in medicinal statistics wavers is shaken, the environment surrounding statistical technology is not necessarily bright. As a result, the Institute is acting as a place to utilize not only in the research and deepening of statistical technology but also as a receiver for resolving conflicts of interest with pharmaceutical companies in support of preparation of academic papers and statistics of various data. We are developing a consignment of business activities for statistical analysis so that statistical analysis can be conducted as a fair and neutral third party organization. We will analyze various data warmed at the hands of doctors and pharmaceutical companies as quickly as possible and at low cost with appropriate and advanced statistical techniques to support conference presentations and manuscript submission. This is one of our objectives. By utilizing our institute’s statistical techniques as doctors and familiar tools for everyone, you are concentrating on your original research and work, saving time and effort, as well as having reassurance for fair and neutral third-party consignment. We hope that you will be able to connect with strengthening the dissemination of research results by supporting of our Institute. In addition, even in various companies, aggregation of various questionnaires, aggregation and analysis of clinical research and postmarketing survey data, development of foods for specified health use and functional display foods, aggregation / analysis of various market surveys, etc. , We are convinced that if you can use our Institute’s statistical technology, it will lead to strengthening your business.